Acting as the big send off for their recent Fighting Game Awards, Daisuke Ishiwatari and his team at Arc System Works surprised many Guilty Gear fans by revealing a new content update for their fighter. If you’re into competitive multiplayer, these PC multiplayer titles may be up your street. Titled Guilty Gear Xrd REV 2, this update adds two new fighters to the mix: Answer, the Business Ninja and Baiken, the Lone Samurai. For those who aren’t up to scratch on their Guilty Gear lore, Answer appears in the story mode to Guilty Gear Xrd, acting as the chief of staff to US president Chipp Zanuff while Baiken is a samurai on a quest to hunt down the Gears. It’s a lot more complicated than that but just go with it, Guilty Gear lore is almost as impenetrable as the backstory to Kingdom Hearts. Baiken is a familiar face to long-standing Guilty Gear fans while Answer made his first appearance in Guilty Gear Xrd’s story mode. Answer must have a real like of American Psycho, as many of his attacks revolve around him throwing explosive business cards, while Baiken fights with her trusty sword and tatami mat. Don’t fret if you aren’t interested in these new fighters, REV 2 will rebalance much of the remaining cast, adjusting frame data and even adding new moves. REV 2 will also add in Arcade Mode cutscenes for all the fighters that were added in Revelator, so no-one is left out for this new expansion. 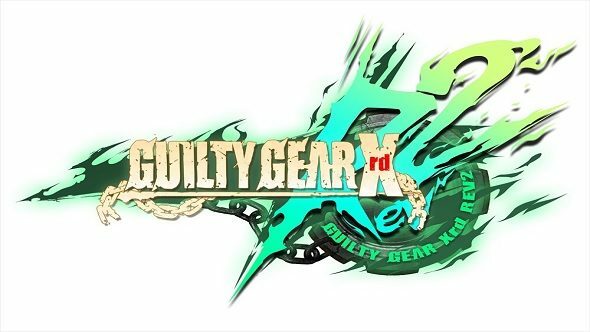 Guilty Gear Xrd REV 2 is set to launch in arcades in the spring, with it coming to PC after a series of location tests and internal balance adjustments. Getting REV 2 will work similarly to the Ultra upgrade for Street Fighter 4, with players having to pay a small fee to unlock REV 2 if they already own Revelator. New players can just buy REV 2 as its own package. Arc System Works have assured fans that the update will be “affordable”, so I imagine it won’t be more than $10/£10. It took a fair while for the Revelator update to even arrive on PC, eventually releasing in December 2016, over six months after the initial console release. Let’s hope Arc System Works will now ensure parity between versions, as REV 2 is scheduled for launch on both PC and consoles at the same time.